Join us in a Parade! 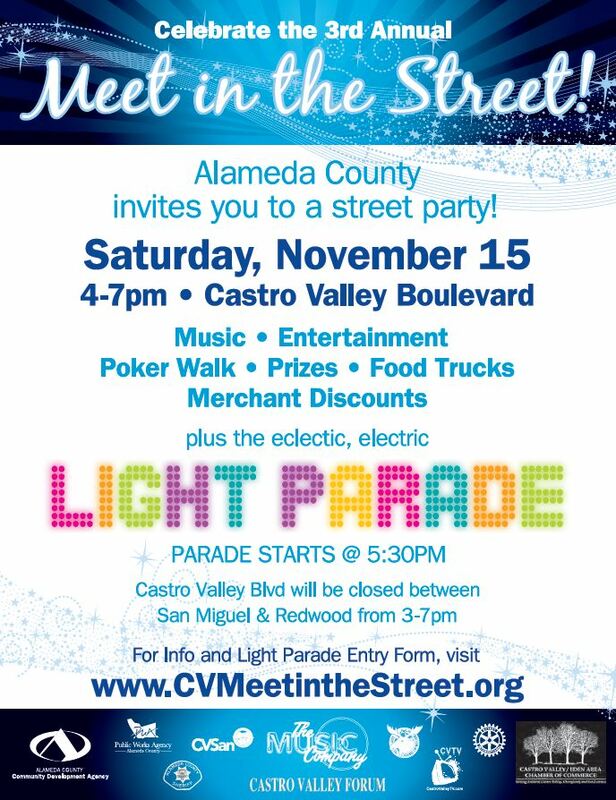 The third annual Light Parade is on Saturday, November 15, at 5:30 p.m. along Castro Valley Blvd (between San Miguel and Redwood) — and we’ll be in it! Want to join us? Get your walking shoes or bikes (and helmets) ready, deck yourself out with some glowsticks, and RSVP to us at bikewalkcv@gmail.com.